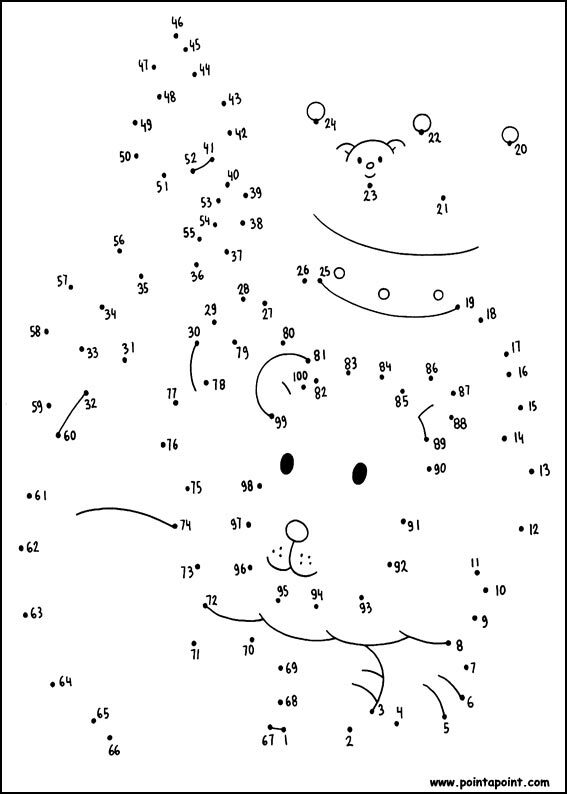 For Free Dot To Dot Printables, just print the examples shown on this page. 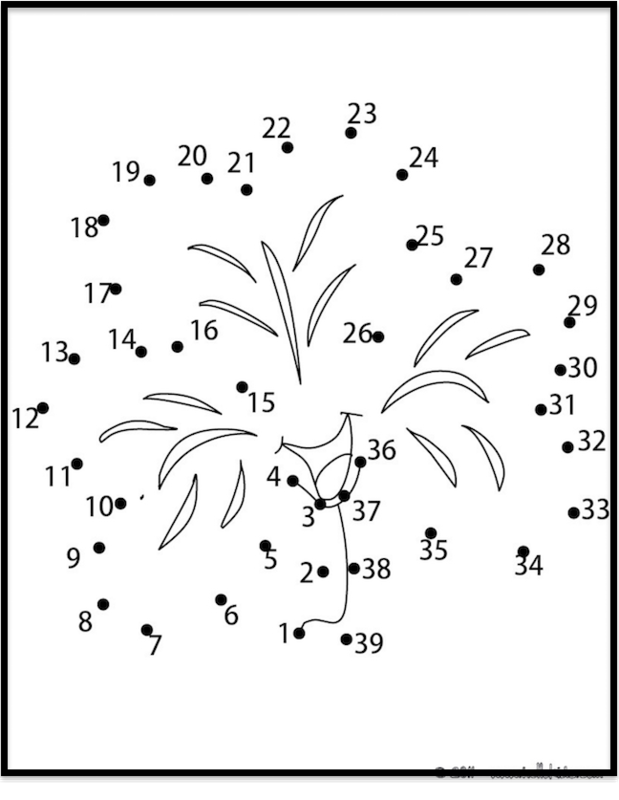 Connect The Dots is the name of a puzzle game in which dots are numbered, then connected in numerical order. The end result should be a recognizable picture. In vernacular English, when adults use the phrase "connect the dots," they are often referring to correctly associating images and thoughts to form a main idea. In psychology, Connect The Dots puzzles are sometimes used for measuring cognitive development. Scroll down for links to thousands more free printable items. Dots have more purposes than most people realize. In mathematics, a point in space is represented by a dot, as is a numerical decimal point. In physics drawings, a dot represents a particle. In written English, a single dot is a punctuation mark known as a period, and signifies the end of a sentence. 1. Print out any outlined drawing you like. 2. White out most of each line of the drawing, except for a dot indicating where the line will change direction. 3. For curved lines, leave dots 2 or 3 inches apart as you white out the rest of the line. 4. Carefully number the dots as you go. 5. Test your result by connecting the dots yourself.